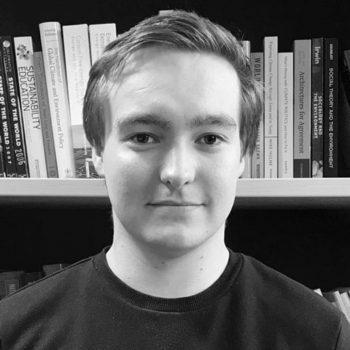 Ben is an ESRC funded PhD candidate at the University of Surrey. He is working on our system dynamics theme, exploring the impacts of structural changes in labour markets on equity and environment. Ben is working within the our System Dynamic theme, exploring sustainable prosperity through macro-economic modelling. His supervisors are Tim Jackson and Simon Mair. His focus is on the impacts of differential productivity gains across sectors of the economy and what this could mean for a post-growth economy. Ben holds a Bachelor’s degree in Physics from King’s College London and a Master’s in Environmental Strategy from the University of Surrey. Whilst completing his MSc he worked with SmartKlub Ltd to investigate the potential for local authorities to partner with business to promote community involvement in renewable energy development. Ben’s research interests include the changing importance and nature of work. He is currently on the organising committee of a student network promoting interdisciplinary research into the world of work. His work experience includes Accounting and Treasury within the Higher Education and Social Housing sectors.